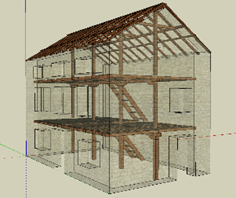 Change Blog Retrofit Type Design Approved: A Turning Point in Nepal’s Reconstruction! Retrofit Type Design Approved: A Turning Point in Nepal’s Reconstruction! An estimated 500,000 Nepali earthquake-affected homeowners in Nepal can now choose to retrofit their damaged homes. In doing so, an estimated 2.5 million lives would be made safe from future earthquakes and 30 megatons of construction materials, and 1 billion USD could be saved. 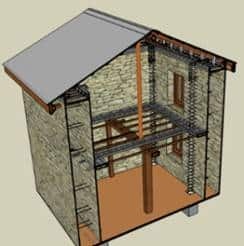 The National Reconstruction Authority (NRA) approved the retrofitting type design submitted by Build Change for stone masonry buildings in mud mortar on June 4th, 2017, after review by Technical Committee including representatives from the Ministry of Urban Development (MoUD) and leading Nepali structural experts. 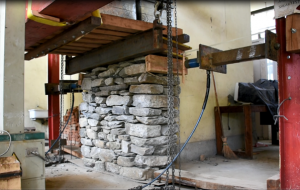 By approving this retrofit type design, the Government of Nepal opens the door to retrofitting being used at scale by homeowners across the earthquake affected areas to seismically strengthen their earthquake damaged houses. 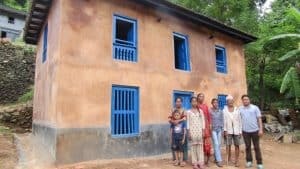 This is a turning point in the history of Nepal’s reconstruction, as for the first time, a clearly defined retrofit solution is made available to the large numbers of homeowners with earthquake damaged mud and stone rural houses. 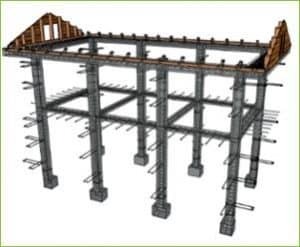 Retrofitting is an innovative and cost-effective method of seismically strengthening existing houses by strengthening structural elements and stabilizing the current structure, making them earthquake resistant. Why is retrofitting so important for the Nepal reconstruction as a whole? After the disastrous earthquake of April 2015, almost all the training and technical assistance systems promoted for the reconstruction have been aimed at new construction only. Whereas an estimated half a million of the earthquake affected houses are only partially damaged, i.e. still standing but cracked and unsafe for occupancy. What these homeowners and their homes need is retrofitting, not new construction. Why is retrofitting so important for Nepali homeowners? Retrofitting allows homeowners to return rapidly to their seismically strengthened home and to renew their agrarian lifestyle. This is especially important in rural villages where houses are both a home and a farm. Nepali rural houses usually consist of a barn, a granary and a home, all in one. 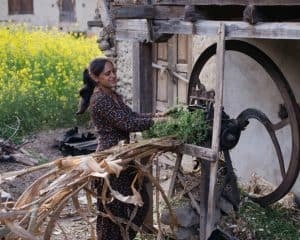 Retrofitting a rural house not only protects families and their livestock from the impact of future earthquake damage, but also enables families to return to their pre-earthquake level of economic productivity, thus restoring livelihoods. Build Change addresses the retrofitting of houses and schools as part of its programming in Indonesia, Haiti, Guatemala, Colombia, the Philippines and Nepal. 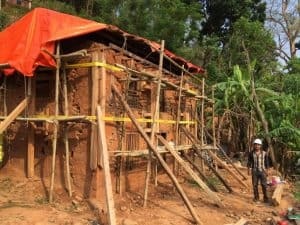 In rural Nepal, where plan configuration, building materials, and construction methods exhibit minimal variations, a finite number of “type-design” retrofit solutions can be developed that are applicable for much of the housing stock, simplifying the implementation of retrofitting at scale and making it accessible. 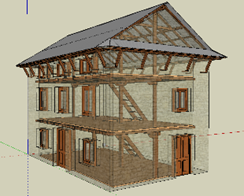 Working in close coordination with Centre for Applied Research and Development (CARD), an autonomous research and development center within the Institute of Engineering (IOE), Build Change has been working to incorporating retrofit type designs for rural houses into the selection of government approved designs. 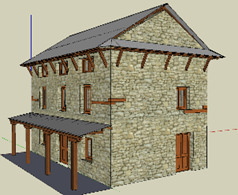 In addition to the mud & stone type design recently approved by the National Reconstruction Authority, Build Change is currently developing additional type designs for dry stone rural houses as well as for adobe houses which are both also common in Nepal. Many thanks to our amazing team of engineers, architects and social mobilizers as well as our fantastic supporters and partners; Mercy Corps, World Vision, United Nations Office for Project Services (UNOPS), HELVETAS, ARSOW-NEPAL, CARD and Department for International Development (DFID). With your help, the strategic vision of retrofit type designs for rural Nepal has now been incorporated by the government and will be championed at national level, a turning point in the history of Nepal’s reconstruction.